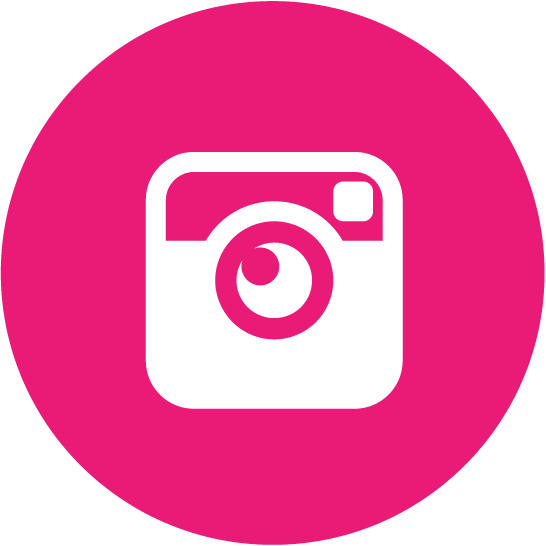 STAY INFORMED WITH THE LOOP – THE LATEST NEWS ON THE BRANDS DISTRIBUTED BY UNIQUE. Each quarter we update you with major product news including changes to packaging, formulations and more. Everything you need to know is right here. For any brand change queries that aren’t covered below please contact us. The new cardboard display also showcases their fresh new branding, keep an eye out as the whole range transitions! Hanami’s vegan, ‘ten free’ nail range now has an even better, water-permeable, breathable formulation that encourages healthy nails and growth. 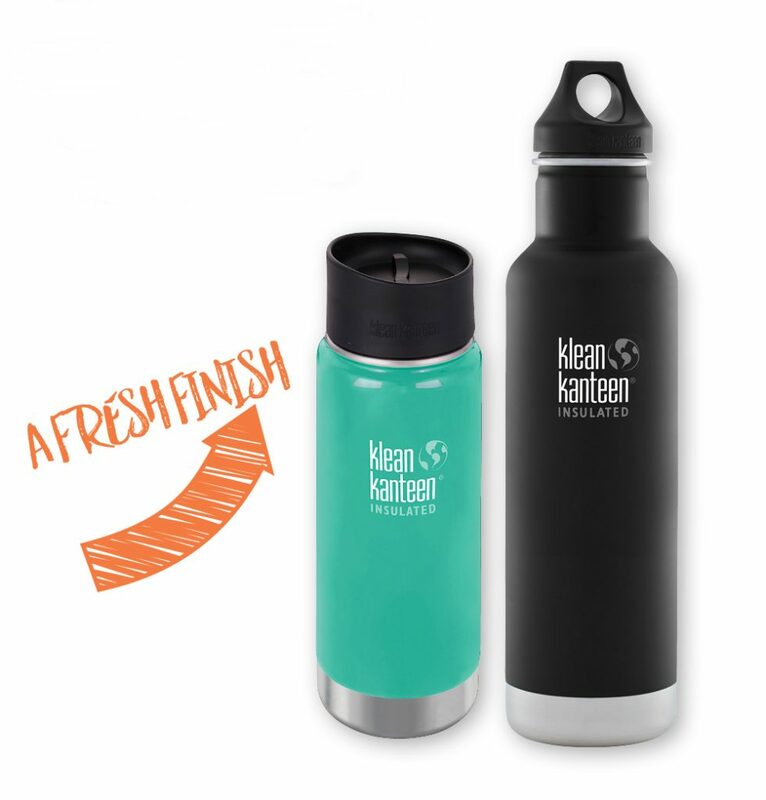 Klean Kanteen are rolling out a superior finish on all their products. This new chip-resistant coating is produced using the safest, most environmentally friendly products available and is 4 x more durable than the original. When ordering, make sure to use the new barcodes and order codes. Ecostore have revamped their personal care product packaging, updated their ingredients and switched up their barcodes. So, if you are ordering their body and hand washes, make sure to use the new codes! 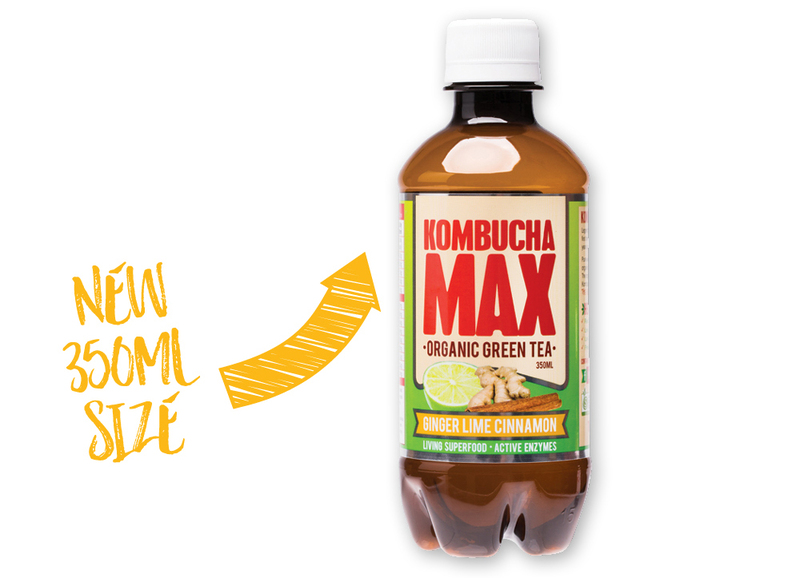 All Kombucha Max flavours now come in a convenient 350ml amber bottle with a drop down in price to $2.95 RRP. Barcodes have also changed so look out for the new order codes! 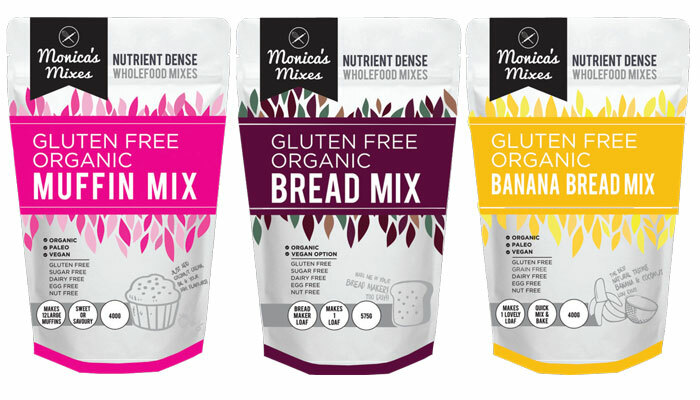 Monica’s Mixes have rebranded to The Gluten Free Food Co, with all new packaging that’s taller and slimmer to sit better on shelves. Some of the products have changed names and the Chocolate Cake now comes in a 500g pack. Haven’t ordered with us before? Register your business here and place and order either in our online store or give our friendly sales team a call on 1800 787 904. STAY UP TO DATE WITH THE LOOP – THE LATEST NEWS ON THE BRANDS DISTRIBUTED BY UNIQUE. Each quarter we share product news and updates you need to know about including packaging alterations, brand updates, and price changes so you’ll never be left out of the loop! Natural Evolution now has higher quality packaging with a new eye-catching, tropical style, ensuring the range stands out on your shelf. 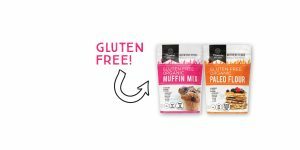 There are no ingredient changes – customers can enjoy the same gut-friendly, gluten free benefits that the range has always offered. 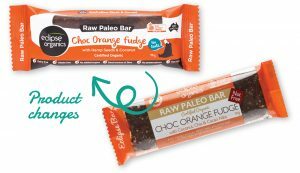 Eclipse Organics has added hulled hemp seeds to three of its paleo bars – Manuka Nut, Choc Orange Fudge and Chocolate Brownie. The packaging has also had a refresh, with the bars dropping from 50g to 45g and sold in a box of 12 instead of 20. With this change, the W/S and RRP have been dropped, allowing for a more enticing margin for stores and cost for shoppers. 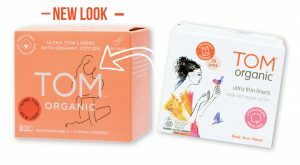 The TOM Organic feminine hygiene range is still the same on the inside, made with certified organic Australian cotton, but the sleek new look is expected to appeal to a wider customer base. 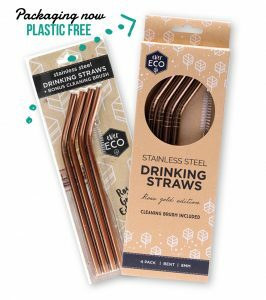 Due to popular demand, Ever Eco’s Stainless Steel Straws are now packaged in a 100% plastic-free box. 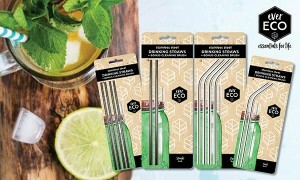 This will further encourage sales from eco-conscious shoppers. 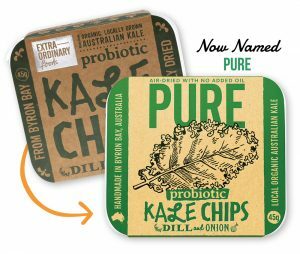 Extraordinary Foods have changed its Kale Chips brand name to Pure, to align with their other snack range Pure Coconut Chips. The brand change not only reflects the simple, quality ingredients but also the fact that they support sustainable farming. Reassure customers the products are the same delicious, nutritious snack. 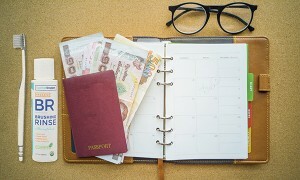 Want to create an account? 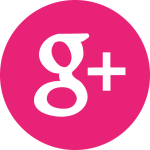 Contact us today and start shopping on our online shop! THE LOOP KEEPS YOU UP TO DATE WITH THE LATEST NEWS ON THE BRANDS UNIQUE DISTRIBUTES. From branding updates and packaging alterations to price changes, the major brand news for the quarter is covered right here. 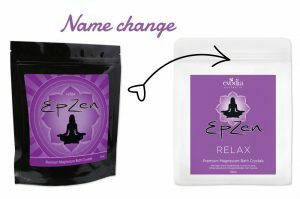 Power Super Foods Epzen is now branded under the Evodia name. Please assure customers, while the packaging will be changing, the bath salts that they’ve always loved, will remain the same high-quality formulas. 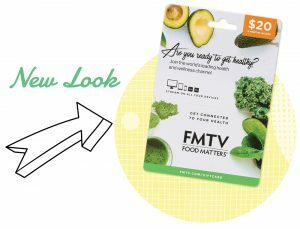 Food Matters TV (FMTV) cards now have a new clean look. Each card allows customers to gain access to hundreds of documentaries, recipes, expert interviews and more! To celebrate the new look, Food Matters are giving away a FREE card in the first 500 orders through Unique. 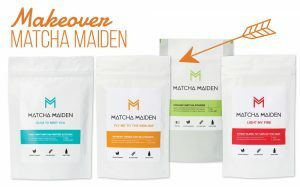 To celebrate Matcha Maiden’s second anniversary, the brand has undergone a marvellous branding makeover. Their new sleeker, splash-proof, streamlined packaging will be sure to capture the eyes of savvy customers. 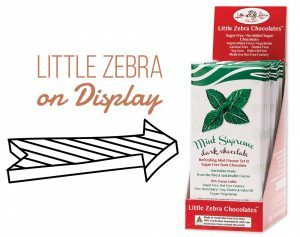 Little Zebra Chocolate now have counter displays available. With every 12 of the same SKU ordered, you’ll receive one free display! Use them to create a chocolate feature in store or place on your counter to encourage impulse purchases. 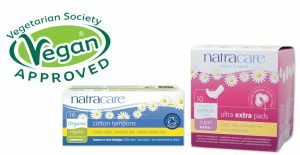 All Natracare’s feminine hygiene products have been officially vegan approved. This means none of the products contain any animal-derived ingredients and there has been no animal testing. Look out for the packaging to be updated with the vegan approved logo in the coming months. 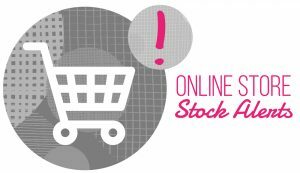 To further increase the ease and speed of your order, our online shop now has up to date out of stock alerts, making your order process smoother. Contact us if you don’t already have a login and start shopping on our online shop. CLIF Bar are updating their packaging to a clean, modern desirable design. These changes will roll out across the bar range throughout coming months. While the packaging changes, assure consumers that the loved CLIF Bar recipe that’s been feeding their adventures has remained the same. Kosmea are now PETA accredited. All packaging will be updated throughout the coming months, to feature a PETA Logo sticker. The accreditation is a symbol of high importance to vegan consumers, certifying that no animal ingredients are used to make the products and no animal testing is undertaken by Kosmea. ALCHEMY TURMERIC ELIXIR NOW 20% LESS SUGAR! Alchemy Turmeric Elixir now has 20% less sugar than the previous formula, making it more appealing for sugar-conscious consumers. The turmeric drink base has also increased in size from 480ml to 500ml and remained the same price, despite the increase in product. In April, ministers responsible for food regulation approved Food Standards Australia New Zealand’s proposal to permit the sale of low-THC hemp foods. However, the changes will not come into effect until six months after the change is gazetted, which is expected to be November 2017. Keep up to date with this change on the Food Standards website. SHOP FAST AND EASY – ONLINE! It’s now even easier to order with us online anytime! Our shop search function has been improved so key words can be used for an accurate search. TNT tracking has also been added and don’t forget some of our helpful existing features like the ‘my products’ page and the ‘re-order’ button, which cut ordering time. 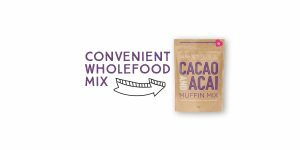 Bake Mixes convenience, wholefood mixes are now made using an almond meal base instead of LSA. 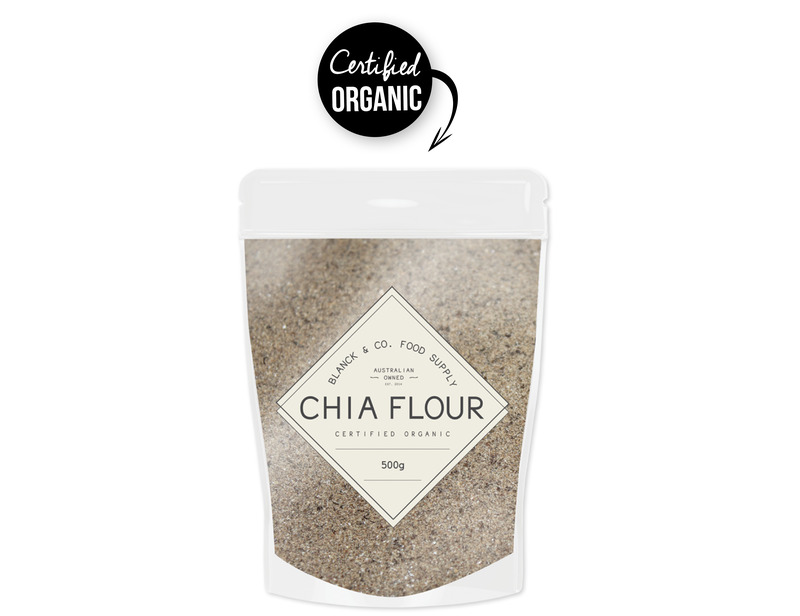 This positive ingredient change has improved the texture and flavour of the products. 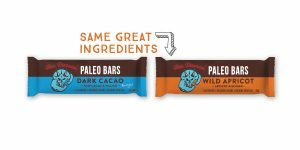 Blue Dinosaur have changed the name of ‘The Ginger Nut’ to ‘Wild Apricot’ and ‘The Original’ to ‘Dark Cacao’ to better reflect each bar’s flavour profile. They’re still made with the same ingredients, just a new name and barcode. Amberbebe Baltic Amber Children’s Necklaces have reduced in price. They have dropped their RRP from $36.95 down to $34.95. 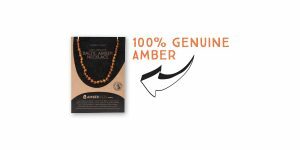 Now your customers can purchase 100% genuine amber products for less. 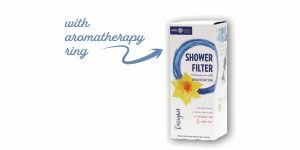 Customers can now relax, moisturise, cleanse and energise with Enviro’s new shower filter now including a bonus aromatherapy ring. 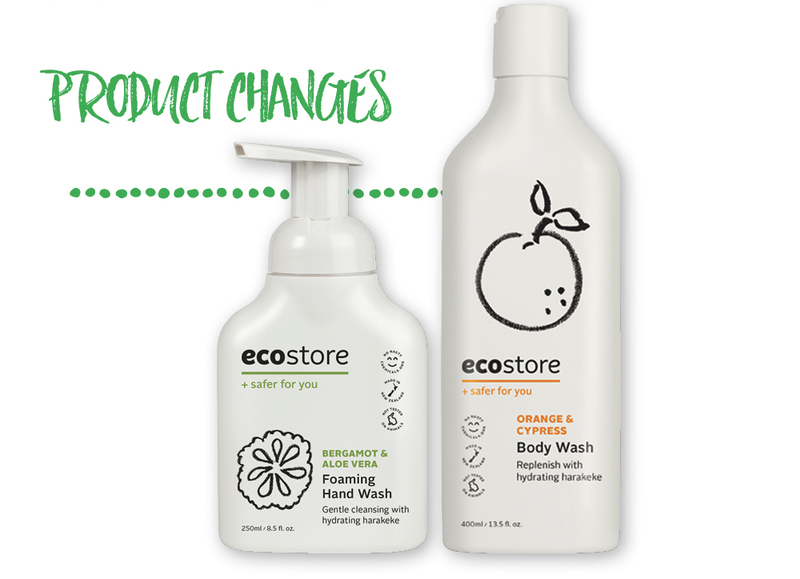 Enviro have also freshened up the packaging to give it an attractive, new look. 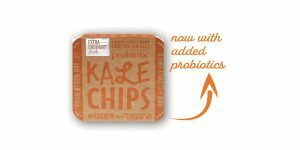 To keep at the forefront of the gut health trend, Extraordinary Foods have added probiotics to all three delicious, prebiotic-filled kale chip flavours. The packaging has also been updated to further improve the product freshness. It’s good news all round for Goodie Balls. Not only has the recipe been slightly altered for a new and improved flavour, but the packaging has also been updated. 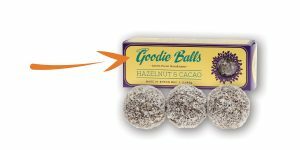 The tasty Goodie Balls are now sourcing biodegradable, BPA Free packaging. You can now get a selection of top-selling hair and beauty products from ACURE Organics for less. They’ve dropped the RRP and wholesale pricing on 17 SKUs, including their new 2-in-1 Shampoo and Conditioners, making them even more competitive. Neek have replaced Whole Lotta Rosie Lipstick with Pash Lipstick. The new Pash has a similar colour to what Whole Lotta Rosie offered, however the undertones have be changed from orange to brown to help the lipstick appeal to a broader audience. Kin Kin Tea have switched to plant based, pyramid tea bags. This allows the tea leaves to infuse more effectively then round bags, creating a stronger tea. 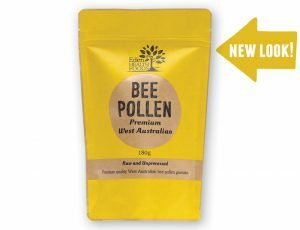 Bee Pollen from Eden Health Foods is now being sold in a bolder, eye-catching packet. They’ve also enhanced their Ultimate Protein Powders, making them almost twice as fine, meaning they’re even smoother than ever before. 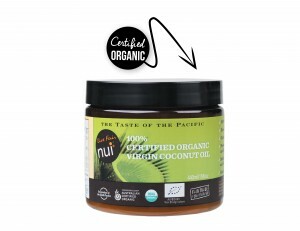 Previously sold in 500ml and 1L sizes, Niulife coconut oil now comes in 350g and 720g sized jars. The packaging across the whole range has also received a makeover with a stronger call to action and focus on their social responsibility. 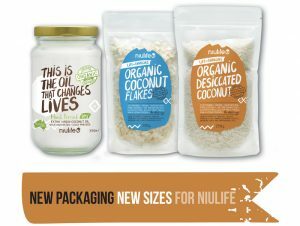 Did you know 100% of profits from all Niulife products go towards erasing poverty, bringing hope and empowering lives? 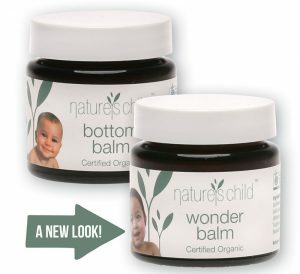 New packaging has been created for Nature’s Child Bottom Balm and Wonder Balm. They’ve opted for a more nurturing design using baby images and earthy colours, sure to be a hit with mums and dads. The entire coffee range from Joy Beans are now sold in boxes. They’re still the same coffee beans your customers love, but they’re now even sturdier on the shelf and have a fresh, funky new style. 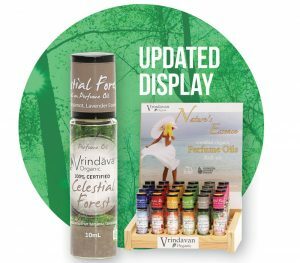 Vrindavan has discontinued Sandalwood Serene to make way for the beautiful NEW Celestial Forest scent. This beautiful display comes complete with free testers, so pop it on your counter for an easy impulse buy at just RRP $14.95! 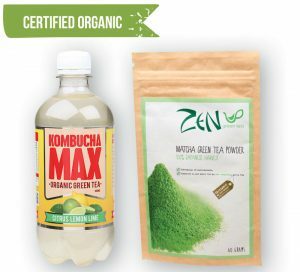 Kombucha Max drinks and Zen Green Tea’s Matcha Powder have earnt organic certification. Keep an eye out for new stock, displaying the ACO logo, filtering through orders soon. 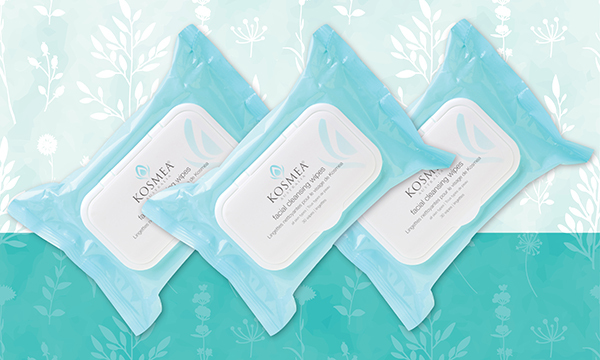 Previously sold in boxes of four (KS54), Kosmea Facial Cleansing Wipes are now purchased as individual packs using the new code – KS59. No more restrictions, you can now get the exact number you need! 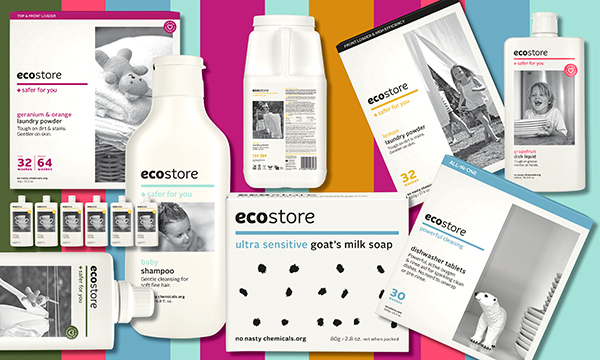 The entire Ecostore range has received a makeover and now incorporates a small pop of colour. 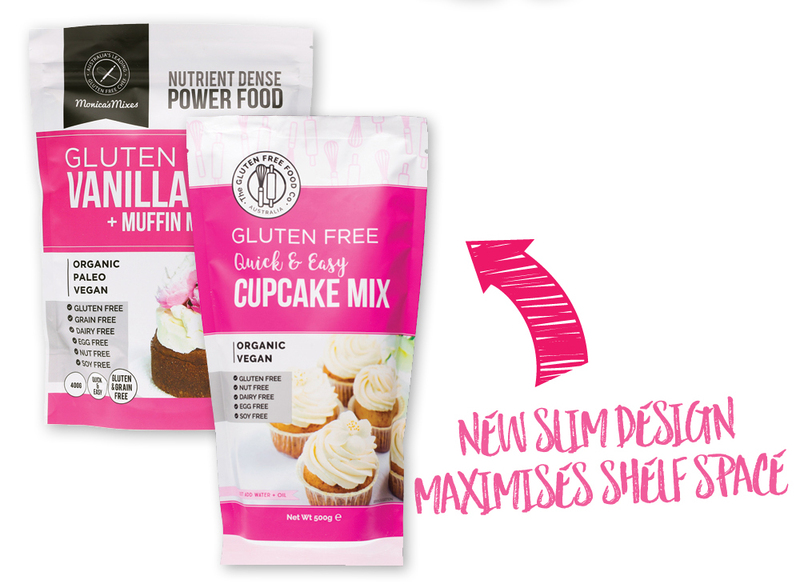 The addition of colour differentiates each product range so they can be identified more easily. Still offering high-quality, stainless steel drinking straw packs, Primal Health Products are now known as Ever Eco. 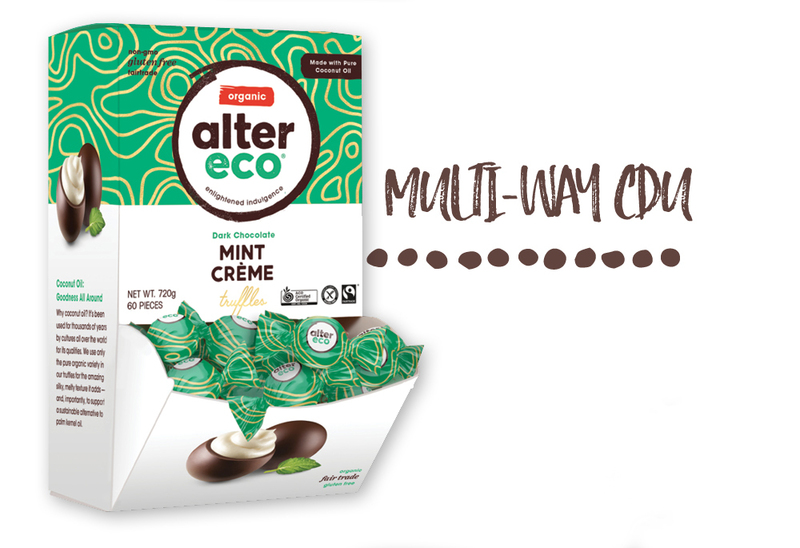 The new modern packaging and contemporary name, blends a vibrant, fresh feel with a natural finish. 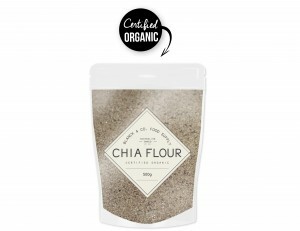 Blanck & Co. Food Supply Buckwheat, Buckwheat Flour and Chia Seed products are now made using 100% Australian-grown ingredients! Essential Oxygen have lowered their Organic Brushing Rinse size to from 118ml to 88ml. The new smaller travel size means it complies with the carry on limit in place on international flights. NAKULA COCONUT OIL’S NEW NUTS PRICE! Nakula is cracking a larger piece of the market by reducing their coconut oil wholesale price and retail price. The new competitive pricing is now in place on both their 300ml and 1L cold pressed, certified organic, virgin coconut oil. Call out – Save up to 33%! Bright, bold, fresh and modern perfectly sums up the new packaging from Monica’s Mixes. The new clean white base better appeals to health conscious consumers and offers more detailed information at a quick glance. Looking for the Withdrawn Products List? 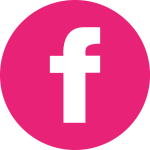 We are now keeping you up-to-date monthly by sending the list directly to your inbox with the monthly top deals. Don’t want to miss out? Contact us to subscribe. The superfood category was pioneered by brands like Power Super Foods. Since 2001 they have travelled the world in search of the finest superfoods and today are recognised as a premium brand. As demand for superfood products increases, other brands are following Power Super Foods’ lead and have joined the superfood market. These other competing brands are making it onto your big competitors’ shelves, so how do you stick to offering premium products in such a populated market? 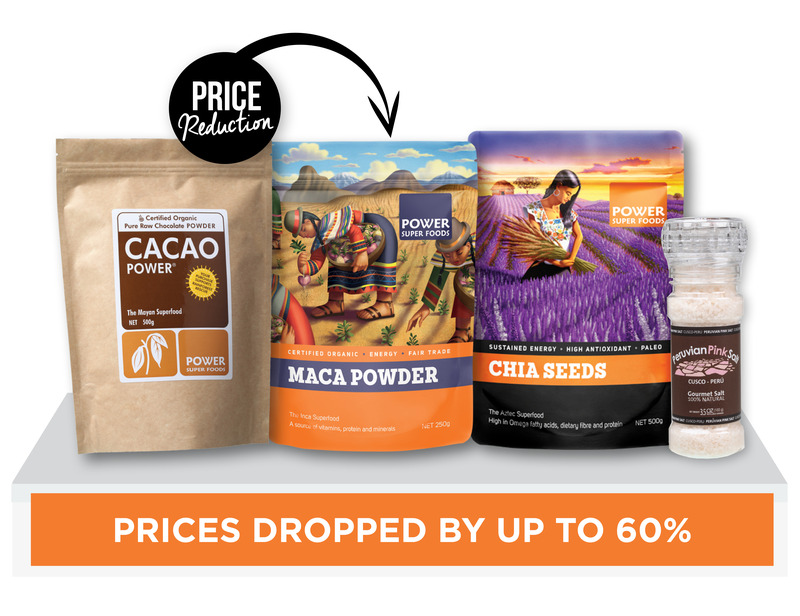 The great news is, Power Super Foods have dropped prices to keep their premium products price competitive with their competition. The wholesale prices on popular lines have been significantly dropped by up to 60%. Products that have fallen in price include cacao, maca powder, chia seeds, Peruvian pink salt and more! To help stay competitive in your market, pass these savings onto your customers – find the new RRPs on our online shop. Nui’s cold-pressed, wild harvested virgin coconut oil has earnt Australian Organic Certification, which helps to cement the products purity further with consumers. The brand is cruelty free, fair trade and embraces sustainable practices like using coconut husks for power generation. Don’t forget to tell your customers about the new certified organic bonus these product now hold! 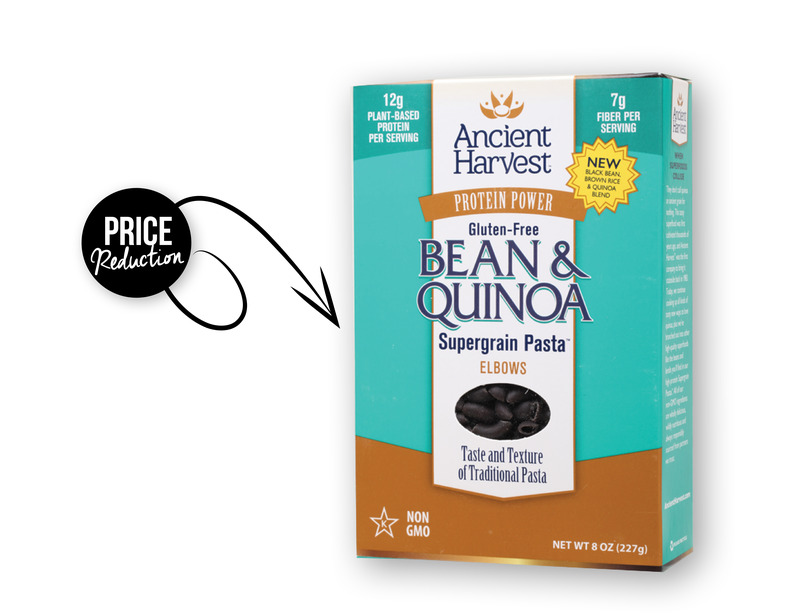 Ancient Harvest’s naturally gluten-free pasta varieties, made with a hearty blend of quinoa and nutritious legumes, are now even more affordable for you and your customers. The wholesale price and recommended retail price has been reduced on the Bean and Quinoa Supergrain Pasta Elbows, Lentil and Quinoa Supergrain Pasta Penne and the Lentil and Quinoa Supergrain Pasta Rotelle. The pastas look and act like traditional pasta, from taste to texture, but have two times the protein, a healthy helping of fibre and are now very reasonably priced. 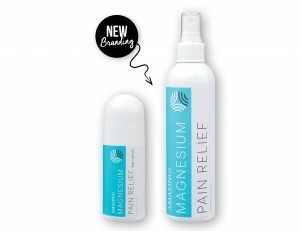 Amazing Oils’ magnesium products have had a makeover! To help catch the eye of more consumers, a fresh new packaging is being rolled out across the entire brand. The new look will use similar colour tones, but offer a fresher, cleaner and more modern design. 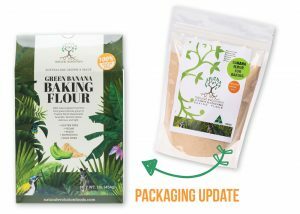 Although the packaging is getting an update, you can reassure consumers that the products will be the exact same products that they know and love.